Amanda McKenzie, Untitled, detail from The Decay Of Life series, 2008. The incredible work pictured above is The Decay of Life - glass castings of fruit in various stages of the decaying process. Designer Amanda McKenzie describes her inspiration as "traditional Baroque still life oil paintings (especially Caravaggio) and the different interpretations of its symbology. Symbology and meaning in the still life has changed over the centuries and have been phased out in contemporary art. The introduction of a new model of the still life in a modern and relevant style which can be interpreted in a society of materialistic values." The work is currently on show at Object as part of Design Now! 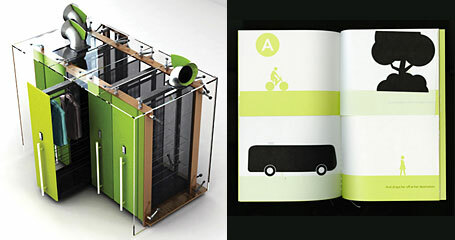 2009, Australia's only touring exhibition of student design. Now in its ninth year, Design Now! is a launching pad for young designers, and the exhibition showcases innovative work from 18 graduates of 2008. These finalists were chosen from over 200 nominations by Heads of Departments and lecturers from university art & design schools across Australia. Lucy Simpson, Gaawaa Miyay collection, 2008. Photo courtesy the artist. This year, Design Now! was divided into 6 categories: Design for the Built Environment; Design for the Body; Design for Communication; Design for Studio Production; Design for the Home; and Design for Industry. We've chosen some of our favourite pieces to share with you, such as Lucy Simpson's Gaawaa Miyay, pictured above. The work is a collection of textiles featuring four prints: Gaawaa, Dhinawan, Walgett and Barigan. 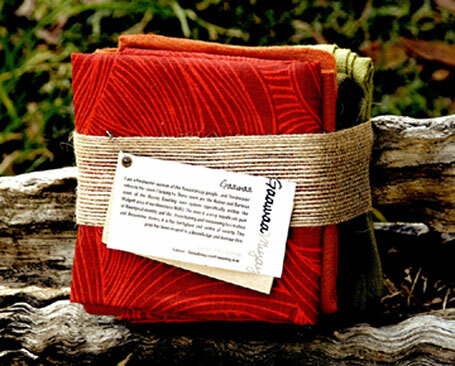 Each pattern holds a memory and tells the stories of family and country on cloth. The stories are told in a contemporary context, through the use of Yuwaalaraay language (an Aboriginal nation in Northwest NSW - her country) The incorporation of Indigenous language into the project is a reflection of the language revival currently happening across the country. The designer aims to contribute to this revival, bringing Yuwaalaraay and the stories of her family and country to new lips and ears. The Object Award for Creative Innovation was jointly awarded to RMIT graduate Anthony Hamilton Smith and UTS graduate Michael Anderson whose winning works are pictured below. 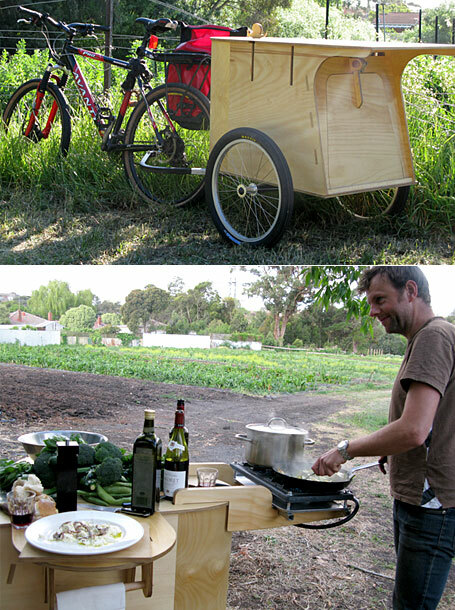 Anthony Hamilton Smith, Slow Kitchen, 2008. Image courtesy the artist. Michael Anderson, The Arborist's Blocking Crane, 2008. Image courtesy the artist. The Arborist's Blocking Crane by Michael Anderson is a fantastic example of design being a mechanism to create clever, pragmatic solutions to specific problems - in this case, the precarious and dangerous process of lowering sections of tree trunks being removed by an arborist. Kali Norman, Untitled 14 (set of 4), 2008. Work courtesy of Curtin University of Technology Art Collection. Photo: Christiane Keller. 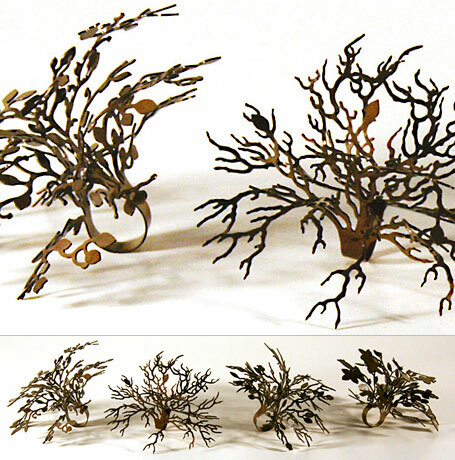 I adore these hand-cut metal tree sculptures by Kali Norman. Each of the four pieces have been blackened with patina, so that the viewer's focus is on the shapes & shadows rather than the metal surface. The branches and leaves are bent and curved to reflect the organic nature of the subject and retain a sense of movement. 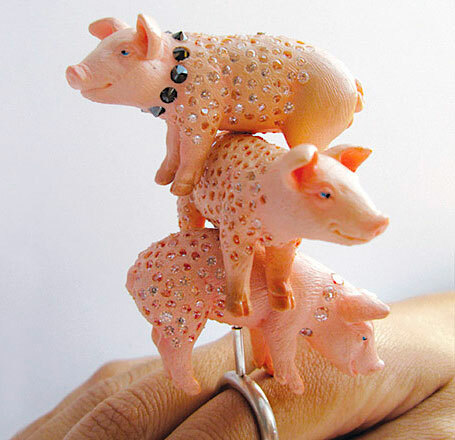 Isn't Three Greedy Pigs cute?! The ring is from the Bedtime Stories collection comprising of jewellery made from semi-precious stone and "something fun" - plastic animals from a toy store of course! Krista Lindegger, Breeze Way, 2008, image courtesy the artist, and Eric Ng, Scenarios of a Sustainable Future, 2008, image courtesy the artist. The two designs above each take a very different approach to sustainable design. 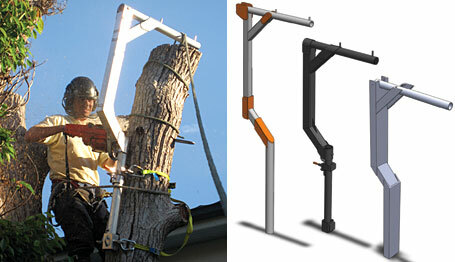 On the left is Breeze Way by Krista Lindegger - a revolutionary way of drying clothes naturally. On the right is Scenarios of a Sustainable Future - a series of 7 booklets that communicate everyday scenarios in a fictional but feasible near future. The project illustrates the potential well-being and unconsidered benefits of a future which is disassociated with materialism. Design Now! 2009 will be showing at Object until 12th June 2009, then at the Melbourne Museum from 14th August - 22nd November 2009. 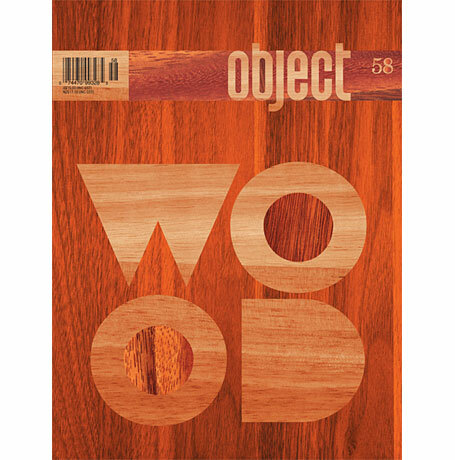 By the way, the new "Wood" issue of Object magazine came out last week!